KMA Consulting Engineers, Inc.(KMA) has been retained by Hardesty & Hanover to perform an environmental screening and prepare two environmental technical studies in support of National Environmental Policy Act (NEPA) Categorical Exclusion Documentation (CED) for proposed Americans with Disabilities Act (ADA) improvements at various locations in Monmouth and Ocean Counties, NJ. 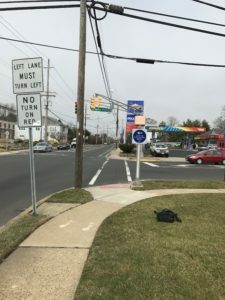 Hardesty & Hanover is the prime consultant for the design and environmental studies activities that will be performed for the Preliminary Engineering (PE) phase work under a contract with the NJDOT known as NJDOT ADA Contract-Central 1. KMA is assisting the NJDOT Bureau of Landscape Architecture & Environmental Solutions in the preparation of a Categorical Exclusion and is preparing Ecology and Socioeconomic Technical Environmental Studies.